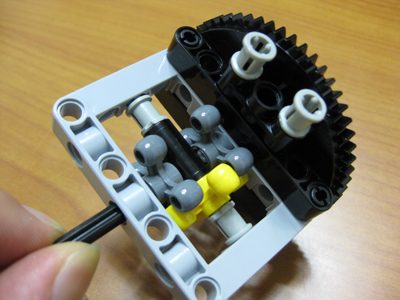 I have numerous gears, axis and other elements from different Lego Technic sets. I wonder if using them I can make a kind of a differential like this? This can definitely be accomplished, although it will be difficult to create a differential as small as the dedicated piece that you mentioned. If you are comfortable with modifying your parts, you could also drill out the center of a gear to allow it to turn freely. 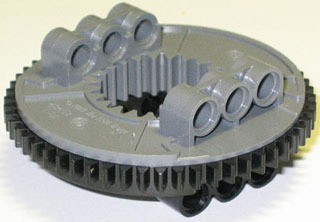 Yes - in fact, you can even improve upon the basic design, to create a limited-slip differential. The key here, which other answers don't note, is that the rotating part of the axle does not have to pass through the center of the cog. Instead, here it is offset through the outer holes. The delicate problem in a brick-built differential is to create the frame. 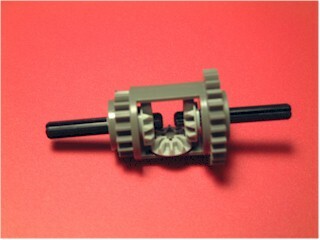 It must have a gear to drive the differential and this gear must let the axle rotate freely. Without parts modification, the only possibility is to use a turntable, either the big one or the small one. Anyway, the solution is bulky and not economical (the differential parts are cheap!). The big version can be interesting nonetheless in large vehicules that require a lot of torque, see here. Not the answer you're looking for? Browse other questions tagged technic or ask your own question. How to power up MOC-0308, based on Technic 8297? How would you make a good pivot-arm suspension? What are the torque limits of gears? 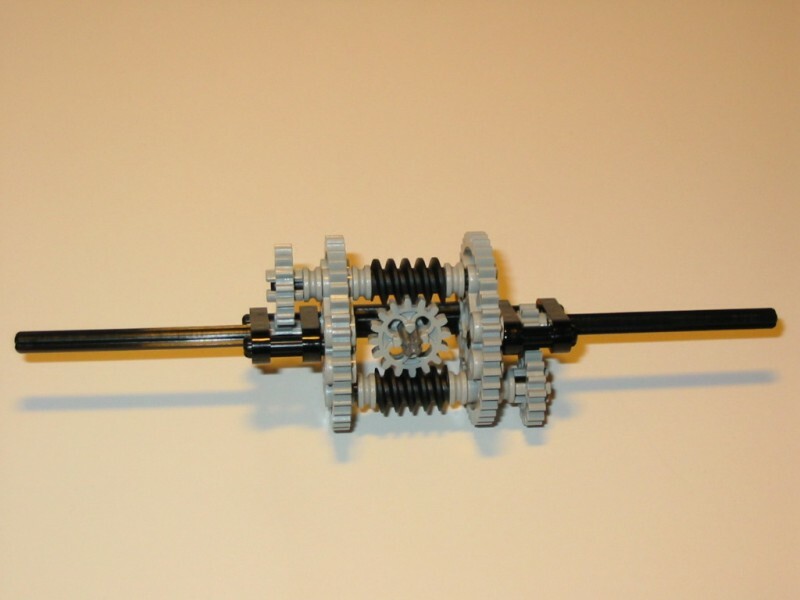 How to build a limited slip differential? Can you use a beveled gear as a pinion?